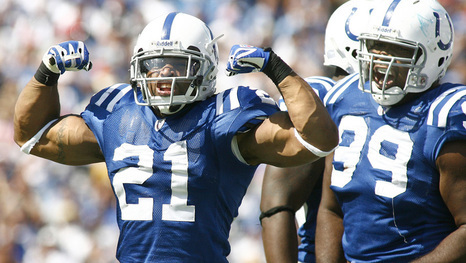 Former defensive player of the year Bob Sanders was released by the Colts Friday, ending a seven-year career that featured tons of big plays and even more injuries. Below are some thoughts on why the Colts cut Sanders, and what might be next for him. We’ll then comment on another notable safety transaction from Friday – Erik Coleman’s signing with Detroit. Sanders was a Colt for seven years, but he played double-digit games in just two seasons. When he played, he was incredible – a tackling machine who hit like a truck, dropped into coverage, and made plays all over the field. Those traits won him the 2007 Defensive Player of the Year award and Pro Bowl berths in both of his (more or less) full seasons. In many ways, Sanders was like Troy Polamalu in that he was a joker on defense who raised the overall level of play of his unit by adding a scare factor. But Sanders, who is just 5-8, 206, couldn’t sustain the pounding of the position, and he missed 39 games (out of 48) in the last three seasons. That came at a high price for the Colts, who gave him a five-year, $37.5 million contract after his DPOY season in 2007. So the Colts cut the cord with Sanders instead of being on the hook for $5.5 million this fall and $7 million in 2012. Perhaps the Colts will bring Sanders back at a lesser cost, hoping for lightning to strike. But the truth is that Sanders is a longshot to be a full season contributor at this point. In fact, his best move might be to sign with a contender and sit the first half of the season, hoping that he can stay healthy enough to add a dynamic element to a defense down the stretch. But even that would have to happen on a low-guarantee, incentive-laden gamble. Coleman, meanwhile, was released by the Falcons this offseason after losing his starting job in 2010. The ex-Falcon and Jet isn’t a huge playmaker at this point, but given the Lions’ sorry performance in the secondary, he could help. Moreover, it’s savvy of the Lions to get Coleman signed now given the current labor situation. Since no one whose contract expires will be able to change teams until a labor deal is done, only a few veterans who have been released will be on the market. By signing Coleman now, the Lions at least add an option who will be learning their system no matter how long the lockout goes. Here are thoughts breaking down the Packers’ 31-25 victory over the Steelers in Super Bowl 45. *Aaron Rodgers wasn’t the surgeon he had been at other points in the playoffs (most notably against the Falcons), but he had a terrific game with 304 passing yards and three touchdowns. His 24-of-39 performance would have been even better without at least 5 drops by Packers wideouts, which says even more about how Rodgers played. Rodgers made the leap this year, and the playoffs affirmed that he’s among the league’s best this year. *Ben Roethlisberger, on the other hand, threw two interceptions that his team couldn’t overcome. The first pick, which Nick Collins returned to a touchdown, wasn’t entirely Big Ben’s fault, since he couldn’t get anything on the throw due to pressure from Howard Green. But the second pick was into double coverage. Both picks resulted in Green Bay TDs, so it’s fair to say that Ben’s failings were part of the reason the Steelers lost. *Not to toot our own horn, but our pre-game pick ’em post was eerily accurate. The running game wasn’t really a factor on either side of the ball, although both James Starks (11 for 52) and Rashard Mendenhall (14 for 63) ran OK. Mendenhall’s fumble, however, was another key mistake. 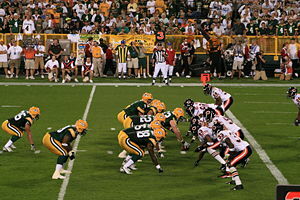 But the crucial matchup of the game was the fact that the Steelers couldn’t stop the Packers’ four-WR set. Rodgers consistently found Jordy Nelson (nine catches, 140 yards, TD, plus three drops), and Greg Jennings (4-64-2) made a few huge plays, and the formation kept Troy Polamalu in coverage, which limited his impact. On the other side, the Steelers got some big plays from Mike Wallace (9-89-1), but the Packers were able to clamp down on the Steelers, especially early. Only after Charles Woodson suffered a broken collarbone and Sam Shields had to leave for a while with an injury did the Steelers really gash the Pack through the air. *The defenses didn’t cause a ton of havoc on either side. The Steelers got decent pressure on Rodgers, and more importantly kept him inside the pocket, but they got just three sacks. (Lamarr Woodley did continue his streak of having a sack in every postseason game he’s played.) The Packers had just one sack from Frank Zombo, but they did knock down a few passes on the line. Clay Matthews, the chief mischief-maker, spent as much time spying on Roethlisberger as actually blitzing, which is part of the reason why Ben had just one run for a first down. (Props to Troy Aikman, by the way, for pointing out the Matthews spy strategy early on.) But the Packers’ defensive line didn’t make an impact aside from Green’s big play. *Mike Lombardi of the NFL network always refers to missed field goals as turnovers, and Shaun Suisham’s shanked 52-yarder in the third quarter was an unforced turnover. Suisham has never been a consistent kicker, so the idea of having him try a 50-plus field goal in a key spot was wrong-headed by Mike Tomlin. It cost the Steelers at least 22 yards (and maybe 30-35 yards) of field position, and also let the Packers out from under the thumb at a time when they were really struggling. It didn’t turn the game, but it was a major miscalculation. *The Packers had a ton of drops. Nelson had three, including two that would have been for huge gains. James Jones dropped a potential touchdown – he’s had a ton of big drops in the postseason – and showed why, despite his speed and potential, he’s a No. 3 receiver and a starter. Still, Jones had five catches for 50 yards and made an impact after Donald Driver left the game with a foot injury. *Unsung heroes: Antwaan Randle El had a huge 37-yard catch, another first-down catch, and a run for a two-point conversion for the Steelers, which was huge after rookie Emmanuel Sanders had to leave the game with a foot injury. Bush of the Packers was forced into more coverage responsibility after Woodson’s injury, and he had a big hit on Roethlisberger and added an interception early on without giving up a ton of big plays. Desmond Bishop of the Packers was all over the field, finishing with eight tackles and three tackles for loss, along with a fumble recovery. He was far more of a factor than A.J. Hawk, and given the fact that he started the year behind Nick Barnett, Bishop’s development was a huge factor. And C Doug Legursky, who replaced Maurkice Pouncey at center for the Steelers, held up just fine. He never got bowled over in pass protection, and the Steelers actually got him out in space to block a few times too (including the first two plays of the game). *Thanks for reading all season. We more than doubled last year’s readership, and we’re thankful. But just because the season’s over, don’t stop visiting. We’ll be up and at it for the rest of the week, breaking down the Hall of Fame election, tracking franchise player tags, and commenting on the Titans’ coaching hire, among other things. For the latest, check back at www.footballrelativity.com or follow on Twitter for post updates and more discussions. It’s finally time for us to make our Super Bowl pick. We’ve already previewed who we think the playmakers will be and played out the storylines. So let’s engage in some preja vu and tell you not only who will win but how the game will be won. *Neither team will be able to run the ball all that well with their running backs. We see Rashard Mendenhall fighting for 55 yards or so on like 17 carries, and we suspect Aaron Rodgers may outrush any Packers back – James Starks, Brandon Jackson, John Kuhn, and company. 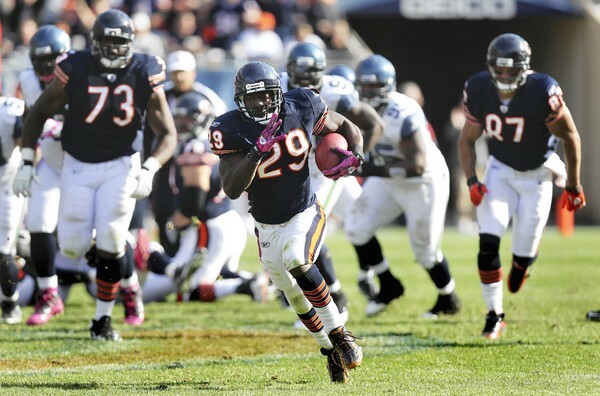 The running game is not going to be what decides the game. *A huge question is whether either offensive line can effectively block their opponents. The Packers’ line isn’t great, and rookie right tackle Bryan Bulaga has given up his fair share of sacks this season. So we believe James Harrison and Lamarr Woodley will get a few hits in on Rodgers. But we have the same doubts that the Steelers can block Clay Matthews coming off the corner as well as B.J. Raji and Cullen Jenkins inside. The Maurkice Pouncey injury really hurts the Steelers here, because the Pack’s playmaking interior players will be troublesome throughout the game. Still, though, since both teams can create pressure, the big plays out of the pass rushes should basically even out. *So where do we find a big advantage? It’s in coverage. The Packers have three terrific cornerbacks in Charles Woodson, Tramon Williams, and Sam Shields, and Shields’ emergence will be a key in keeping Mike Wallace from breaking free deep in the secondary. We believe the Packers can keep Ben Roethlisberger and company from throwing the ball all over the place. But we don’t have the same confidence about the Steelers. Troy Polamalu is a great player, but he’s better freelancing than in coverage, and the Packers can force Polamalu into coverage by using a four-wide receiver set. Ike Taylor can be trouble blitzing off the corner, but he’s not an elite cover corner either. The same is true from Bryant McFadden. We just see Greg Jennings, Donald Driver, James Jones, and Jordy Nelson breaking free more than once. If the Packers can keep the Steelers blocked for the most part, or if Rodgers can keep the chains moving with his legs when pressured, then Green Bay will eventually beat the Steelers through the air. And that’s where the game will be won. Each year, as we begin to preview the Super Bowl, we try to anticipate which players will become the big-play makers of the big game. (You can see last year’s post here, and the Super Bowl 43 edition here.) As always, we’re on a 10-point scale where 10 points is epic and 1 point is someone who is a possible playmaker in a remote situation. We’ve left out offensive linemen, because it’s so hard to distinguish them individually because they are meant to function as a unit. If you think we missed someone, add a comment and where you think that Packer or Steeler fits in. 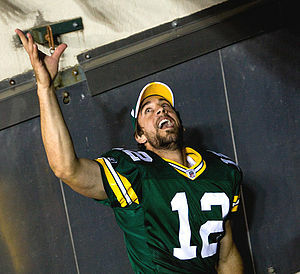 10 – QB Aaron Rodgers, Packers – This is Rodgers’ chance at the spotlight, and we believe he’s up to the challenge. Given the state of the Packers’ running game, the Packers’ chances rest on their quarterback, which means that he’s the man on the spot. He can make big plays with both his arm and his legs, and he has done just that in his playoff drive this season. Does he have one more game left? 9 – QB Ben Roethlisberger and WR Mike Wallace, Steelers – Big Ben has two Super Bowl rings, but no MVP trophies, which is a little odd for a quarterback. You can’t say he’s played poorly, because he led a game-winning drive two years ago and hit Santonio Holmes for the winning TD. But Roethlisberger has set up Holmes and Hines Ward for Super Bowl MVP honors. So while Big Ben will play a huge role, the pattern indicates that if the Steelers win, it will be a receiver who gets the award. Our money is on Wallace, who has perhaps the best deep speed in the game. Wallace has been the focus of defenses in the playoffs thus far, but the Packers let Johnny Knox and Devin Hester break free deep in the NFC championship game, and if they can do it, Wallace can too. If the Steelers win, it’ll be correlated to a big game from Wallace. 8 – OLBs James Harrison and Lamarr Woodley, Steelers – Harrison made a huge play in the last Super Bowl with an epic 100-yard interception return for a touchdown. And Harrison remains a huge force getting to the quarterback. But Woodley, who has compiled a sack in each and every postseason game in his career, will get to Rodgers at least once, and so he’s just as high on the list as Harrison. These two outside ‘backers will need to force at least one turnover for the Steelers to win. 7 – CB Charles Woodson, Packers – Really, we could have said pick a Packer corner, because both Tramon Williams and Sam Shields have been game MVPs for the Pack in the playoffs this year. But Woodson is a big-time player who can emerge on the biggest stage, and as one of the few Packers with Super Bowl experience, he won’t be afraid of the stage. 6 – RB Rashard Mendenhall, Steelers – Mendenhall may have had the best game of his career against the Jets in the AFC championship game, and if he plays that way again, he can carry the Steelers to a win. Running against the Packers will be tough, but Mendenhall showed against the Jets that he might just be up to the challenge. 5 – OLB Clay Matthews, Packers – Matthews is the Packers’ star on defense, but after a ridiculous start to the season his playmaking has been a bit more sporadic this season. The matchup seems to favor Matthews against subpar Steelers tackles, but if the Steelers gear up their protection to stop Matthews, someone else will need to step up and pressure Big Ben. And even if Matthews can get to Roethlisberger, can he bring him down? Roethlisberger is basically as big as Matthews, and he’s perhaps the league’s toughest QB to bring down. 4 – WR Greg Jennings, Packers – Jennings may be the most overlooked No. 1 receiver in the league, but he certainly deserves the accolade. He’s good enough to carry the team, but he has so much help at receiver that defenses can’t focus on him. Jennings could have a breakout game a la Larry Fitzgerald two years ago that turns him from very good player to national star. 4 (con’t) – S Troy Polamalu, Steelers – Polamalu is one of the most popular and well-known Steelers, and he claimed defensive player of the year honors (over Matthews) this week. But his play of late hasn’t been dominant, and the fact that the Packers can spread the field with four receivers could force Polamalu into coverage instead of letting him freelance as he usually does. That will limit Polamalu’s impact in this game. 3 – TE Heath Miller, Steelers – Miller is a supersolid tight end who can help out blocking Matthews and company but also serve as a possession receiver or even a threat to get down the seam for a big play. The Packers have struggled against tight ends this year, and that could set Miller up for success on Sunday. 2 – WR Jordy Nelson, Packers – Nelson is the Packers’ fourth receiver, but he has been a popular target for Rodgers in the postseason, and we think he’s behind only Jennings in terms of the Packer wideouts we see making big plays this weekend. Of course, Rodgers will look for vet Donald Driver and the inconsistent but talented James Jones as well, but we can see Nelson piling up 70-80 yards or more on multiple receptions. 2 (con’t) – DLs B.J. Raji and Cullen Jenkins, Packers – The Packers’ defensive line doesn’t get a ton of publicity – or at least it didn’t until Raji broke free with an interception return for a touchdown against the Bears. But while Raji has been a dominator inside, Jenkins stepped up in the playoffs, and he’s just as likely to make the big play as Raji against the Steelers. 1 – ILBs Desmond Bishop, Packers, and Lawrence Timmons, Steelers – Bishop and Timmons have both had terrific seasons for their respective teams, but they don’t make the flashy plays that their defensive teammates do. But both guys are tackling machines, and if they can strip the ball on a tackle or pick up a fumble and return it for a score, they could find themselves joining unlikely Super Bowl MVPs like Larry Brown and Dexter Jackson. 1 (con’t) – DE Ziggy Hood, Steelers – We’ve been pounding the drum on how well Hood has been playing throughout the postseason, and if he does that again he’ll have a shot at raising his profile and making a splash on the biggest stage. In fact, we believe it’s more likely that Hood will make a big play than his D-linemates Casey Hampton or Brett Keisel doing so. As we get to the playoffs, we won’t just make our picks – we’ll engage in a little preja vu by talking about how we expect games to go and by predicting final scores for each playoff game. We’ll try to rebound from a below-par first weekend with this week’s picks. Each week, we watch a specific game and share what we learned. This week we tuned into the Steelers/Titans clash in Nashville, which the Steelers won 19-11. It was a huge win for the Steelers, who move to 2-0 and assure themselves of a solid start in the absence of QB Ben Roethlisberger. When Big Ben returns, the Steelers will add a passing dimension to their game that they’ve been without thus far, and that will take them from a good team to a true contender. Here’s what else we saw from both an on-field perspective and a fantasy football perspective. *The Steelers got off to a quick start with some shenanigans, using a reverse to spring Antonio Brown free for an 89-yard touchdown return of the game’s opening kickoff. Given the fact that Pittsburgh didn’t score a touchdown in regulation last week, and given the fact that the Dennis Dixon/Charlie Batch combo wasn’t going to score a ton, it was a calculated gamble that paid off big for Pittsburgh. *Vince Young responded poorly to the intense pressure the Steelers put on him, turning the ball over three times (two picks and a fumble), and because of the turnovers the Titans yanked him from the game in favor of Kerry Collins. Collins’ lack of mobility made him a sitting duck for the Steelers, and he threw an interception and fumbled on his first two series, but you can’t blame Titans head coach Jeff Fisher for looking for a spark. Collins rewarded Fisher’s faith with some sharp passing in the last-ditch comeback effort the Titans mounted late in the fourth quarter. *Batch, who entered the game when Dixon suffered a knee injury, is a caretaker but nothing more. Still, we prefer him to Byron Leftwich, who has a slower delivery and is more likely to make a crucial mistake. Leftwich was cut before the game but is expected to be re-signed after it. *The Steelers’ defense is still a scary unit, and the presence of Troy Polamalu takes it to another dimension. Polamalu had an end-zone interception that snuffed out a Tennessee scoring chance. It was one of a whopping seven turnovers the Steelers caused. Pittsburgh also created a ton of pressure up front, as James Harrison, Lamarr Woodley, and company were all over Young and Collins. Even more impressively, they kept RB Chris Johnson from breaking out, snapping his string of 12 straight 100-yard games. *The Titans’ defensive line doesn’t get the credit that the Steelers’ does, but it is a solid unit that created pressure and did a nice job bottling up Rashard Mendenhall. Despite the Steelers’ banged-up offensive line that struggles over and over again, that’s still a credit to the Titans. *Rob Bironas’ crazy middle on-side kick in the fourth quarter put him in the lead for crazy kicker of the week honors – even if it looked like it was drawn up by the Little Rascals, as Eric Stangel tweeted. *Kevin Harlan, the CBS play-by-play man, is more detailed than anyone else on the national scene. At the same time, he communicates big moments both clearly and with excitement. He’s perhaps our favorite play-by-play guy on the national scene, and it was good to hear him in this one. *We’re believers in both Hines Ward and Mike Wallace of the Steelers, but Dixon’s injury killed their value this week. Batch simply isn’t good enough at this advanced age to get them the ball. Fantasy owners have just two more games before Ben Roethlisberger returns, which will help both wideouts, but for now Ward and Wallace aren’t guys you can rely on comfortably. *We don’t love Mendenhall as a No. 1 fantasy back, and this game showed why. Against a solid defense, he doesn’t have the breakaway speed to enhance his numbers. He ended this game with just 69 yards and a 3.0-yard-per-carry average. Plus, if Isaac Redmond gets goal-line carries (as he did late in the fourth quarter), Mendenhall’s stock slips a bit more. Mendenhall is a good but not great back who is in a great situation, and that’s why he has solid fantasy value. But don’t expect the spectacular from him. He’s a No. 2 fantasy back, not a fantasy franchise player. *Don’t freak out about Chris Johnson’s so-so game. The Steelers’ defense is death on fantasy running backs, and the seven-turnover performance around him really hurt Johnson’s prospects in this game. It hurts to get just 34 yards from your No. 1 overall pick, but it’s not reason for concern at this point. *Titans WR Nate Washington scored a touchdown for the second straight week, but given Tennessee’s uncertain QB situation, he’s still not a great investment for fantasy owners. Washington isn’t ownable except in the largest leagues.